In the twilight of the Carolingian empire (circa 850 AD), the royal architects seek to impress their king and maintain their status in the nobility by constructing landmarks throughout his newly appointed domain. 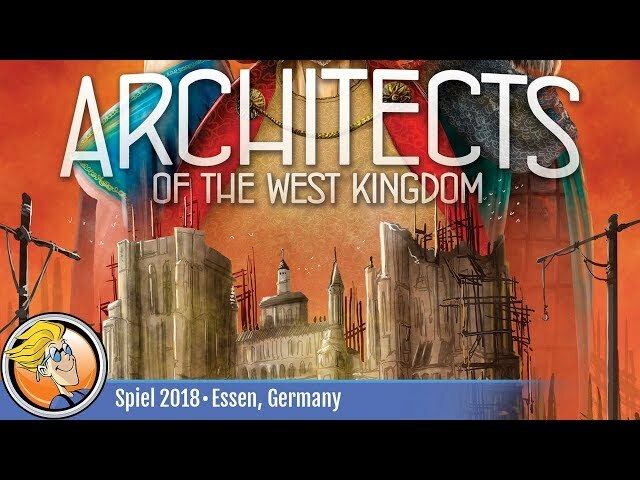 Architects of the West Kingdom is the next game from North Sea Trilogy designer Shem Phillips, a board game of collecting raw materials, hiring apprentices, and keeping a watchful eye on treacherous rival architects. Will you remain virtuous, or be found in the company of thieves and black marketeers? Construct buildings, advance work on the Archbishop's cathedral, and mind your morality lest you be punished for your underhanded deeds. Buy Architects of the West Kingdom for a game about construction and choice.